Boyana Church of St. Nicholas and St. Pantaleimon in Sofia, Bulgaria’s Boyana quarter, is a Bulgarian Orthodox church, famous for the frescoes housed within its inconspicuous medieval walls. The majority of these well-preserved frescoes were painted in 1259, and are fine examples of Eastern European art from the medieval era. The frescoes are painted on top of another layer of paintings from an earlier period. The church is constructed in a medieval style, and includes the oldest wing on the east end, which is a simple one-apse church, the two-story section was then built with a sepulcher and vault, and the final church was added much later. It has been recently discovered that the ktitor inscription at the church that was redecorated in 1259 reveals the names of the painters: “Zografs (painters) Vasilie and Dimiter”. The orthodox wing of Christianity forbade the painters from writing their names underneath the paintings as the priests believe that it is God who guides the painter’s hand. However, this painter inscribed his name which no one could notice until recently. They made a new layer of wall-paintings over the original ones in the old part of the church along with decorations of the two-levels of the newly constructed part of the church. The first layer of wall-paintings covering the whole of the eastern part of the church is covered with the paintings dating back to the 12th century. Thanks to the generous rulers Sebastocrator Kaloyan and his wife Desislava, whose donations helped in construction of the second two-storey part of the church. Some of the oldest portraits in the church include that of ruler Sebastocrator Kaloyan, his wife Desislava, Tsaritsa Irene and Constantine Tikh Asen. The 18 scenes in the vestibule leading to the nave of a church includes mundane elements from the lives of the painters’ contemporaries. You can see the portraits of St. Ephrem the Syrian, St. Nicholas, a patron saint of the church and St. Ivan of Rila, the Bulgarian national saint among the paintings of other saints. Boyana church was listed as a UNESCO World Heritage site in 1979. The church was constructed in three different periods: the east wing was built in the late 10th or early 11th century, the central wing was built in the 13th century, by Sebastocrator Kaloyan and further expansions were carried on in the 19th century. There are 89 scenes in the church that depict 240 people. Boyana Church is situated on the outskirts of Sofia, Bulgaria, the capital of the country. 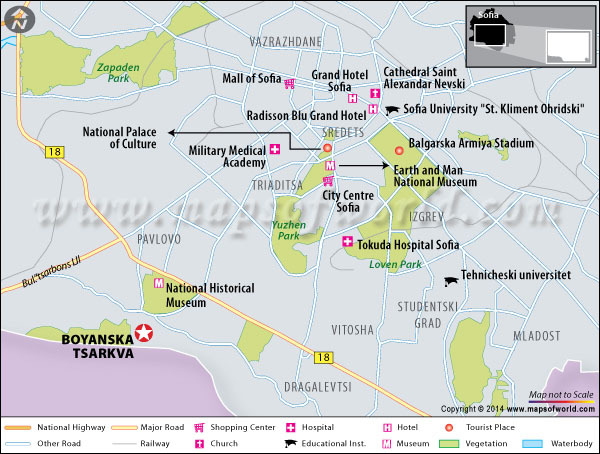 It is located at a distance of around 18 km from the Sophia Airport. 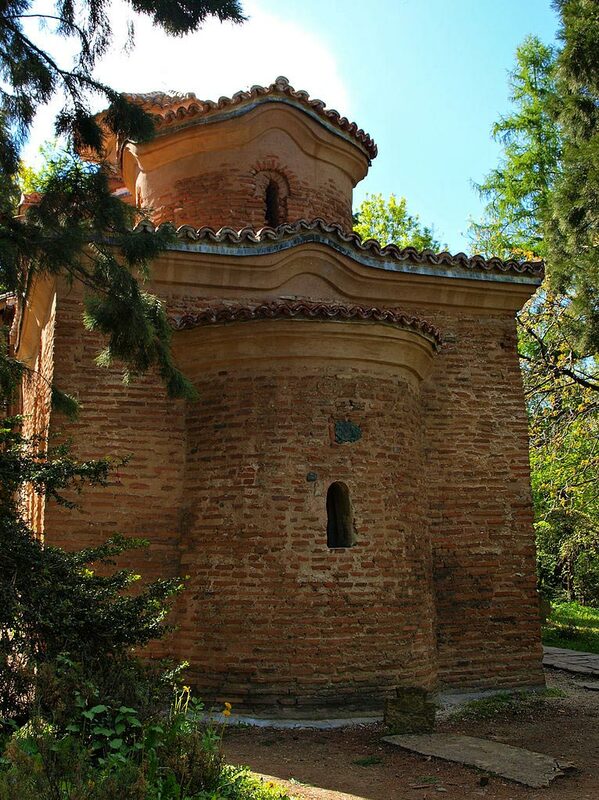 The church is situated in the Boyana quarter, but can be challenging to reach, either by tram, or bus, as it is quite a trek out from the center of Sofia. Because of its distant location, it is sometimes advised to request that the taxi driver wait outside the church for the return trip, otherwise it can be difficult to get another for the return journey. Winter in Bulgaria can be very cold and snowy, and visitors to the church sometimes wait in line outside the church to be admitted, so tourists should avoid visiting in winter. Spring and summer are good seasons to visit, to fully enjoy the nearby gardens. From 1 November through 31 March the opening hours of the Boyana Church are from 9:00 am to 5:00 pm. However, from 1 April to 31 October, the church is open between 9:30 am and 5:30 pm. The ticket for an individual costs BGN (Bulgarian Lev) 10, while for students the ticket costs BGN 2. Nearby Attractions: Saint Sofia Church, Mount Vitosha, Rila Monastery, and Ivan Vazov National Theater.